A 92-year-old woman who spent more than half her life charting Orkney's flora has been awarded an honorary degree. Elaine Bullard carried out much of her fieldwork from a Reliant Robin three-wheeler. The pensioner, who has no formal botanical qualifications, has been recognised by Herriot-Watt University. She received the award at a ceremony held at the university's Orkney campus on Monday night. Her efforts have previously been recognised with an MBE. Ms Bullard moved to Orkney after the war and retired at the age of 45 to devote herself to the study of the region's plants and vegetation. If she was ever stumped by a difficult identification she would seek out an expert at Kew, the Royal Botanical Gardens, or one of the museums. Officially known as the Botanical Recorder for Orkney, her field work was undertaken in an old Reliant three-wheeler onto which she had constructed a make-shift tent. Professor Jonathan Side, director of the Heriot-Watt International Centre for Island Technology, said: "Elaine's work is well-known and widely recognised, and it is a particular delight to those of us at Heriot-Watt University, who live and work here in Orkney, that the university wishes to honour her in this way. "Over the years she has been an inspiration to the university staff and students, and has made an enormous contribution to the work of visiting academics from numerous universities and institutions. "In this and in her diverse activities as a recorder, and within the Orkney Field Club, she has aspired to, and achieved, the highest standards of scholarship." 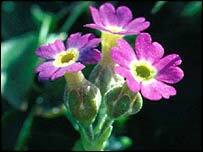 Ms Bullard said: "As a child, by the time I was 10 I could recognise 20 wild flowers by their proper names. "If you can't name a thing accurately how can you go back to it again and tell somebody else anything about it." It is the first time such an award has been made in Orkney through the university's Orkney campus.